Kingston State College students will hear first-hand about the myriad of science technology engineering and maths (STEM) opportunities in Queensland’s resources sector when industry representatives visit the school today. 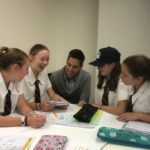 It’s the first time the school has taken part in the STEM 4 Schoolkids program run by the Queensland Minerals and Energy Academy (QMEA), having recently come on board as one of 46 QMEA schools throughout the State. Industry representatives from Hastings Deering will be on hand to assist students with activities focussing on chemical processing, geology, data analysis and process engineering. “We very much value becoming part of QMEA which brings so many advantages to our students,” said Francine Barker Kingston State College Principal. “Our students’ eyes will be opened to many career opportunities that they might not otherwise have considered and to have industry people give them their personal insights is invaluable,” she said. 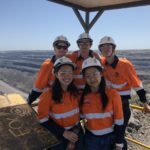 CEO of Adani Mining, Lucas Dow said Adani, which sponsors the program at the college, is committed to helping young people take advantage of the many opportunities available in our sector. Hastings Deering’s Vincent Cosgrove said the company’s staff very much enjoyed mentoring students and watching their faces light up. “The fact that the activities fit hand in glove with the school curriculum make them even more effective,” he said.